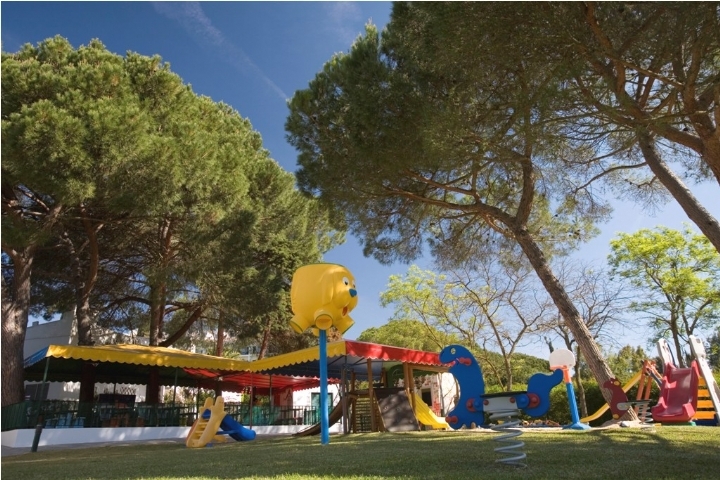 A secured area in the grounds of the hotel, the club is an entertainment and educational activity centre for children aged from 6 months up to 12 years. 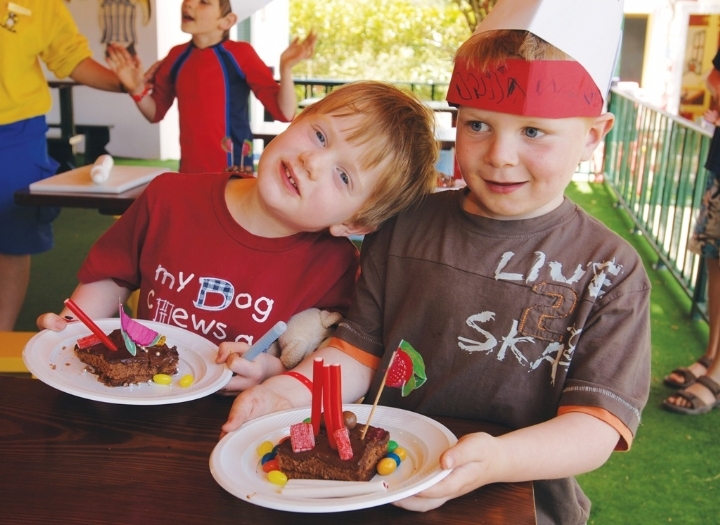 Although principally for children of guests of the hotel, it is open to the public (for children 3 to 12) and also serves as an ideal setting for hosting children's birthday parties. There is such a wide variety of activities, toys and play equipment all set together in a quiet and secure location that you can't help but feel that your kids will be safe AND have a great time. In fact, the attentive and alert staff make sure of it. Some of the organised activities include golf lessons, tile painting, mini olympics, pool games, baking a cake, tug of war, basketball, football, tennis, scrabble and even fashion design. But between the swimming pool and bouncy castle, the football pitch and the ping- pong table, the activities programme seems almost superfluous. 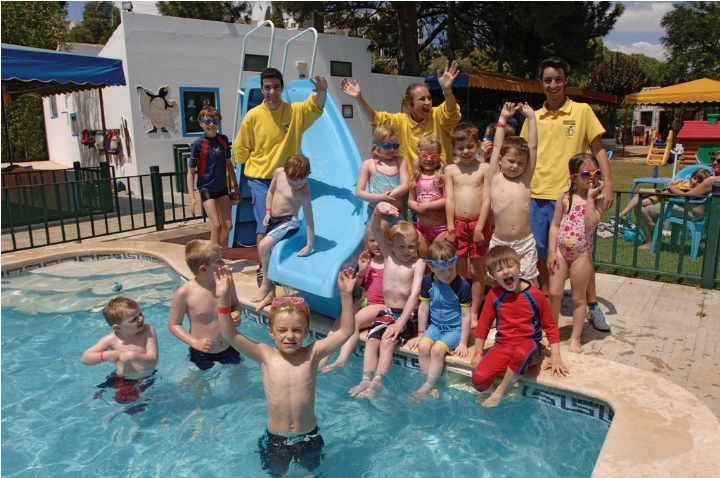 Everything is on hand, and then some: WC, swimming pool, bouncy castle, television/video viewing room (for a bit of rest and relaxation, especially popular after lunch), playground, ball pit, picnic area, football pitch, several shaded and unshaded areas for play, as well as a baby nursery with cots, changing tables and high chairs. Because when we arrived, my kids did not cling to my legs and beg me not to leave. They did not cry, hide behind me, whine, or even become anti-social and mute. Instead, they took one look at everything on offer and simply ran off to play. They also both quickly made friends with the bilingual staff, which is no surprise for my six year-old who speaks both English and Portuguese fluently, but an absolute miracle for my very guarded younger daughter, who speaks her own unique mixture of English, Portuguese and two year-old gibberish. The staff are clearly adept at bringing children out of their shells; all speak at least two languages (Portuguese plus English, French, Spanish and/or German) and have either completed or are currently enrolled in a childcare university programme. Although water is always available, food and beverages are extra. There is a complete menu on offer for children and babies, including fairly standard kid food (such as hamburgers, fish fingers and chips) as well as healthier options like potato, carrot and leek soup, grilled or poached salmon, steamed rice, and organic vegetables. The menu also includes calorie information for each plate on offer. Although I would consider the prices of the food to be "hotel" prices (expensive), they are not excessive. A cheese or ham omelette is €5.50 and the spaghetti bolognese is €6.50. There are also fun and/or healthy snacks available starting from €.50 (mini yogurt) up to €3.50 (chocolate cake). Reservations are required 48 hours in advance. There are different activity schedules for different times of the year, as well as for different age ranges. Birthday parties require a week's advance notice, except in July and August when three weeks is necessary. Penina Golf Resort is just off the EN-125 on the outskirts of Alvor. For guests of the hotel: Children aged 6 months to 2 years cost €10 per hour, €39 per day excluding meals, or €50 for a full day package, including lunch, nappies and suncream. Children aged 3 to 12 are free, excluding meals. For those not staying at the hotel: Children 3 to 12 years cost €20 for two hours, €30 for 4 hours, or €40 per day, excluding food. Birthday parties: €15 per child with a minimum of 15 guests required. Additional entertainment can be arranged, such as magic shows, face painting, and a wider variety of food, for an additional fee. Seasonally starting in mid April (Easter) until the end of October: Open 7 days a week from 9.30am until 6pm except in July and August when it stays open until 8pm.